Unfortunately unlike western clothing brands whom separate clothing into different sizes, most items from Taiwan clothing brands only come in a 'one size fits all' size called "free size" which is intended to fit the majority of body sizes. 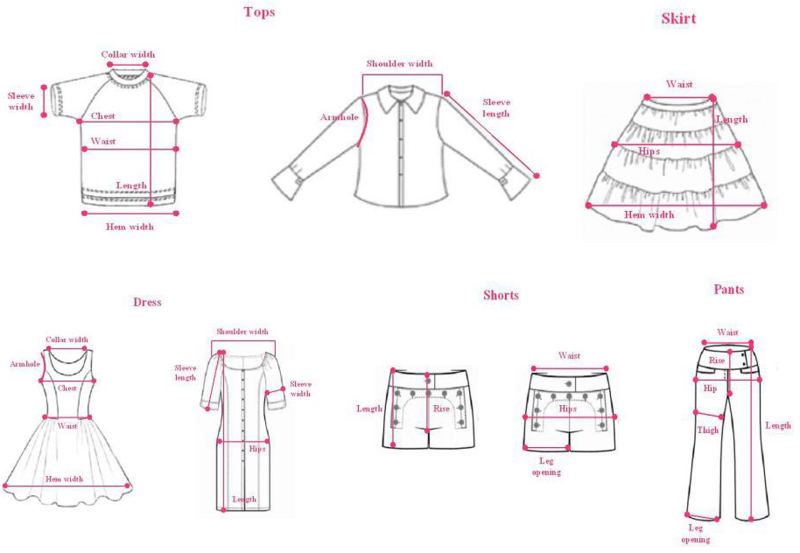 Body sizes vary a lot so we are aware this "free size" won't suit everybody, therefore we have provided measurements for all the items to allow you to see if each of the clothing measurements will suit your own body measurements. Please also note that if your body measurements are close to suiting the clothing measurements, a lot of these free sized items are stretchy which allows them to fit into a wide range of body sizes. All "width" measurements are measured with the clothing item laying flat! All "circumference" measurements in are measured around the clothing item!